While his latest song Liberté already has more than 50 million views on YouTube, Soolking recorded a duet with Albanian-Kosovar singer Dhurata Dora. 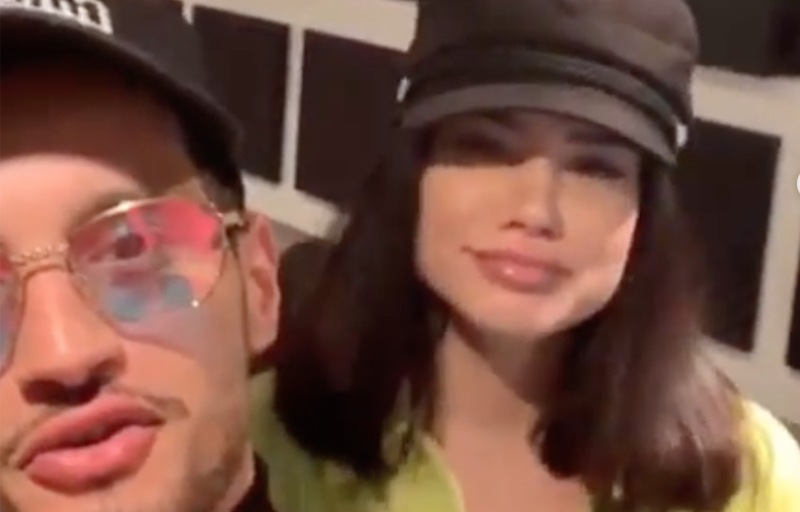 The Algerian singer posted a behind-the-scenes video on Instagram in which they give a short preview of the song. It has a typical Arabic beat and it’s sung in French and Albanian. The exact title of the song is still unknown. UPDATE: Both Soolking and Dhurata Dora removed the video from their Instagram page. We hope this doesn’t mean that the release of the song has been canceled. Dhurata Dora is an Albanian-Kosovar singer born in Nuremberg, Germany. She already scored many hits garnering millions of views on YouTube. Check out some of her songs below!